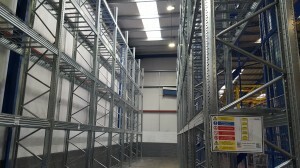 This is a recent pallet racking project completed in Oakham by Storage Concepts Ltd. 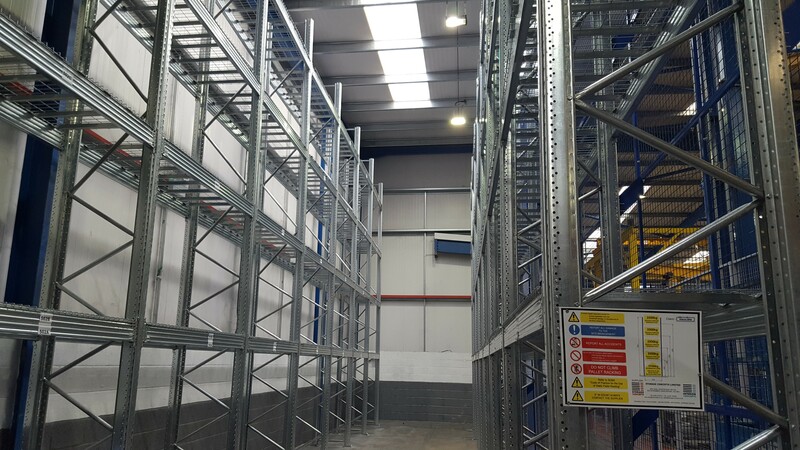 This is a high rise racking system 7m high designed to store pallets being 1700 mm wide x 900 mm deep weighing 2500 kgs each. Also utilised on this project was open mesh decks and anti collapse mesh to the rear of the racking. Rack end barriers and column protectors were also used to protect against fork lift trucks knocking the bottom front uprights.